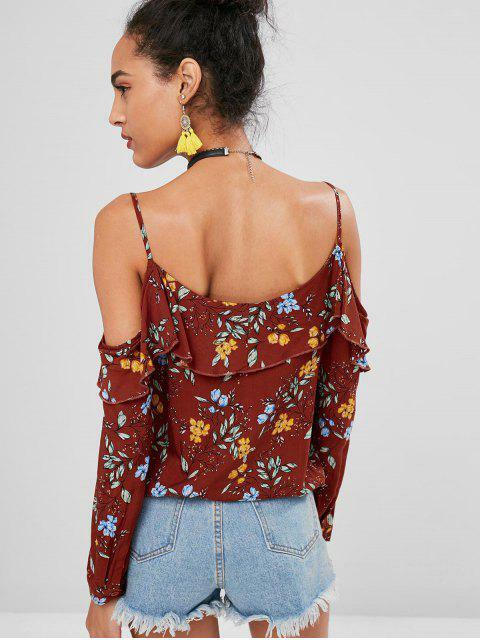 [26% OFF] 2019 Floral Ruffles Cold Shoulder Top In CHOCOLATE | ZAFUL ..
A perfect floral pick for those breezy days, this long-sleeved top that is accented with the vintage floral print throughout has a layered touch with its overlaying ruffles along the collarline and the adjustable shoulder spaghetti strap to create a cold-shoulder design for a little flirt. 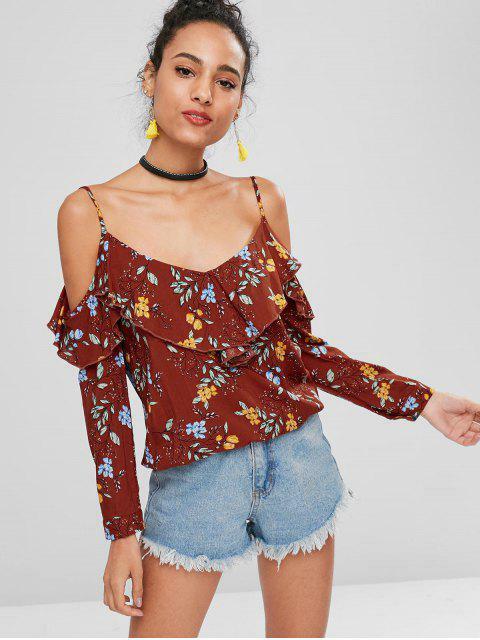 Elastic hem and buttoned cuffs. 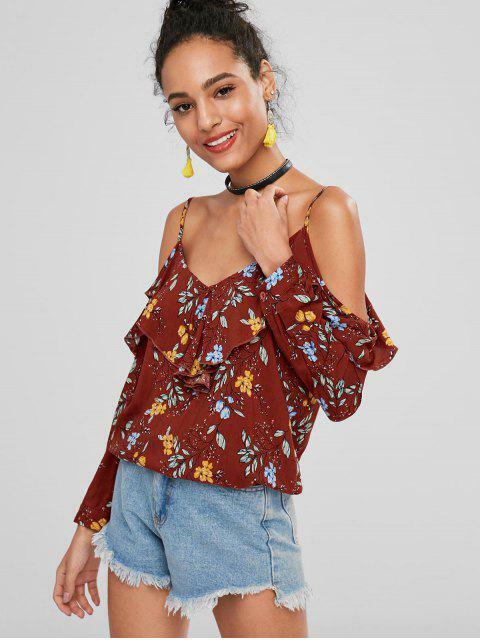 Pair it with jeans or skirts to flaunt yourself on any occasion.